It’s an oft repeated dictum that British director, Humphrey Jennings, had a gradual decline of quality within his work towards the end of the Second World War. It’s repeated several times in the booklet of this excellent BFI release but, like many of the others who start with this statement, there is a “but”. That “but” is that Jennings’ weaker work is in fact not weak at all. His post-war short films are witty, inventive and endlessly English. The context of their weakness within Jennings’s work is threadbare but argued. Outside of that context, they stand up remarkably well, documenting and recreating a Britain that seems cosy and nostalgic whilst at the same time completely alien in the light of modernity. Of the eight films on the third volume of Jennings’ collected work, several themes begin to emerge. Some have been carried over from the director’s past work, others seem like mild hints that are only apparent now they are curated together. The first film is the surreal and extremely curious The True Story of Lili Marlene (1944) which has the typical Jennings’ style of mixing real footage with re-created scenarios. The obviousness of the recreation and the rawness of the genuine war footage clashes but with interesting effects on the drama. It starts the theme of music as a major factor upon the rest of films that is realised in various different ways. It also contains the powerful image of a hand gripping angrily at the barb wire of a concentration camp which, though recreated, is a knowing and heartbreaking composition. The music is left for the second film of the release though it is equally as reliant upon sound. The Eighty Days (1944) charts the defence of Britain against German Doodlebugs and creates an adorable postcard of the British countryside even amidst the explosions and gunfire. Some of the footage captured is simply astonishing, especially those of real bombs being taken out and landing mere metres from a near-by village. The most interesting aspects of the film lie in the people shown outside of military duty who vary from farmers working to women bathing in a country river. 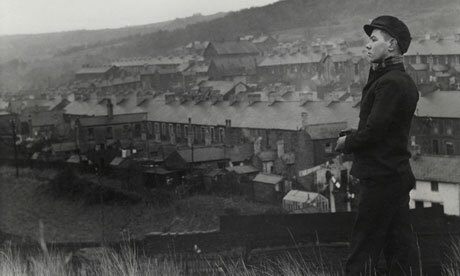 It pre-dates the films of Kevin Brownlow and David Gladwell; two filmmakers who would explore similar evocations of the countryside and they are both very clearly in debted to Jennings. Myra Hess (1945) is a curious inclusion again continuing the theme of music. In some ways it works simply as a music video of a multi-shot performance of Beethoven’s Sonata in F Minor, Op.57 but its role is its inclusion in the release’s main draw; A Diary for Timothy (1946). Much has been written about Jennings’ opus; a film that sums up many of the contradictions of war and trying desperately to strive past them into post-war progress. A Diary for Timothy is an important film for Britain, at once questioning the morals of war, tying down its effects not simply down to mass continents but down squarely on the individual. Its credits are also a who’s who of classical British film from the narration by Michael Redgrave and written by E M Forster, inclusions of John Gielgud and George Woodbridge and music conducted by Muir Matheson. The moral questioning continues in A Defeated People (1946) though it reflects Jennings’ obvious worry about Germany which is often shared by figures from that generation. It portrays Nazism as a disease just like the illness spreading in the ruins and rubble of the down-defunct country. The individual is again broken down but their identities are often deliberately swayed by their role in the war. The commentary by William Hartnell is especially interesting though only adds to film’s discomfort. It does however hint at light at the end of the tunnel even if that tunnel is a brutal, ironic program of de-programming. One of the release’s weaker films is The Cumberland Story (1947). Though containing some interesting visuals and some timely moments captured, the film is stifled by a surprising lack of direction and muddles into dullness quite quickly. It also seems unlucky that the film would later look stale next to Carol Reed’s dramatisation of the issues involved in 1940’s The Stars Look Down. The Dim Little Island (1948) is a more interesting film, if only for the quaint views of the interviewees on show. This undersells the short film somewhat as the Britain on show is idyllic. It deliberately contrasts the industrial Britain of the North with the beautiful countryside just outside of these towns (as well as various wildlife reserves in Scotland and Suffolk) and Jennings shoots them wonderfully. The presence of Ralph Vaughan Williams as part of the narration (and composer) is a real joy. His passion for British folk melodies and folklore is brought out to its fullest. The Dim Little Island couldn’t be more British if it tried. The last full film of the release is Family Portrait (1950) but, like The Cumberland Story, suffers from an odd lack of direction and a rather nostalgic view of the, then present day, Britain. It is of course charming and an excellent document of what Britain used to look like but overall seems twee without much else to balance the themes. The release also contains an alternative cut of The Eighty Days in the form of V1 (1944), Jennings’ last, incomplete film The Good Life (1951) and a full booklet of essays. For the Jennings purists, this will no doubt be a release simply to satisfy their completist streaks. For those unfamiliar with Humphrey Jennings’ work, it is far more than simply the remaining films but a wonderful collection of eccentric beauty and wildly contagious nostalgia for when the country managed to finally hurdle over its biggest challenge to date and look forward to a warm and glowing potential. The Complete Humphrey Jennings Volume 3 is out now.